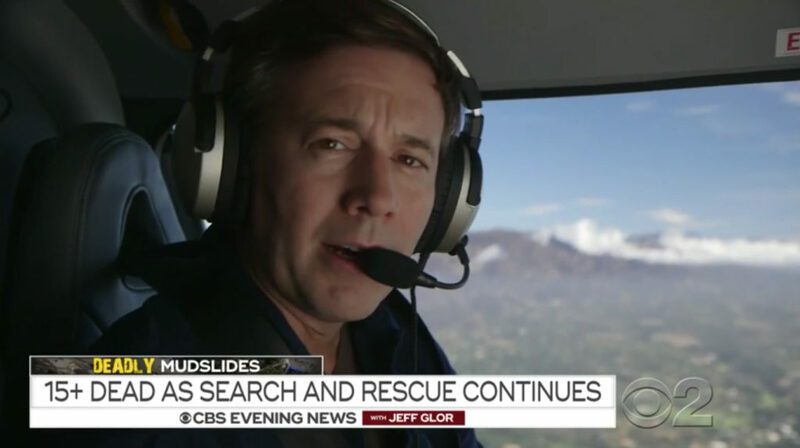 CBS appears to be bolstering “CBS Evening News” anchor Jeff Glor’s image as an intrepid field reporter by sending him into the field to cover the Montecito mudslides — while ABC and NBC’s anchors remained in the studio. While all three networks lead with the story the evening of Wednesday, Jan. 10, 2018, CBS was the only network to send its main anchor to the scene of the disaster — with “NBC Nightly News” going a bit lighter on coverage. 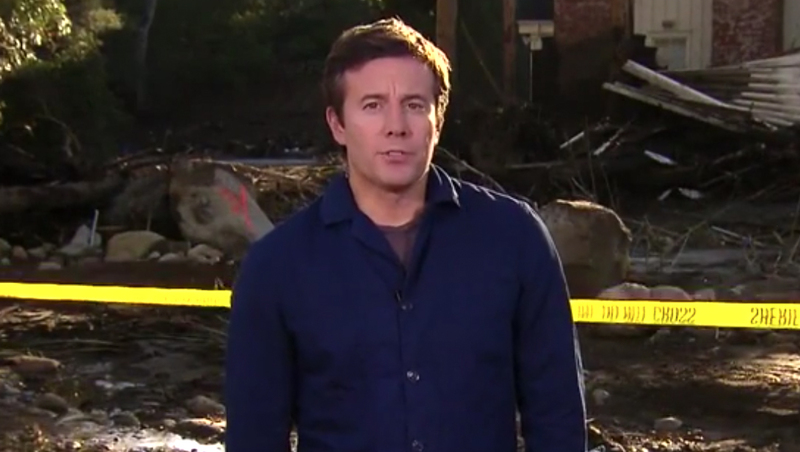 Glor, who took over “CBS Evening News” in December, kicked off the broadcast’s approximately 7 minutes of coverage from in front of a destroyed structure in Montecito. Much of the coverage featured Glor, who also traveled to the region to cover the wildfires earlier this month, himself — whether he was flying over the destruction in a helicopter or talking directly to families who lost their homes. The overall strategy of portraying CBS as a hard hitting news organization has been in place for years, most notably with the introduction of the “Original Reporting” tagline in 2011 and fluff-free format of the second incarnation of “CBS This Morning” that debuted in 2012. Glor’s role as a field reporter has also been spotlighted in the months since it was announced he would take over the anchor desk at “Evening News,” and continues to be emphasized in the show open’s variety of still imagery. 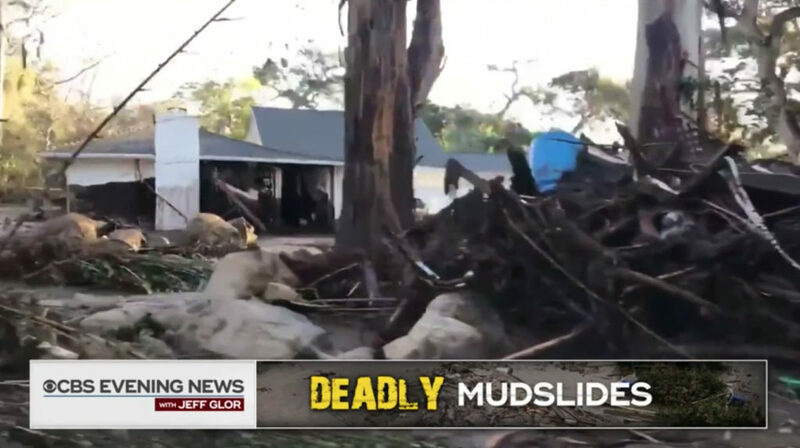 “Evening News” also incorporated the banner “Deadly Mudslides” into its coverage, with a topical graphic blending bright yellow textured typography with white text and a dark background featuring a faded photo of the damage.